Hi-Rez Studios’ Realm Royale is the latest addition to the popular battle royale genre, offering five distinct classes well-suited to the fantasy universe it shares with the team-based shooter Paladins. Realm Royale features all of the same ingredients that make for a delicious battle royale pie (or, perhaps, chicken dinner). Players are dropped into a sprawling battleground where they must rush to collect weapons, armor and skills from chests to (hopefully) ensure their survival. There’s also a crafting system that allows for creation of incredibly powerful, class-specific Legendary weapons, which requires the collection of Shards obtained by disenchanting loot and Chicken Trophies obtained by killing players. In Realm Royale, players can carry a total of two weapons, which they can freely switch between by pressing the corresponding hotkeys ( and , by default). At the time of writing, there are nine different weapons with four rarities each, as well as a unique Legendary weapon for each class (five in total). The Shotgun, Assault Rifle, SMG and Sword are hitscan weapons, basically meaning that where you click is where you’ll hit. The Heirloom Rifle, Revolver, Crossbow, Burst Rifle and Slug Rifle are all projectile-firing weapons, and as such can be a bit more difficult to aim. Weapons of higher rarities simply deal increased damage; they do not feature random affixes or any other increased stats. Legendary weapons can be acquired from Gold Chests that randomly spawn on the map. 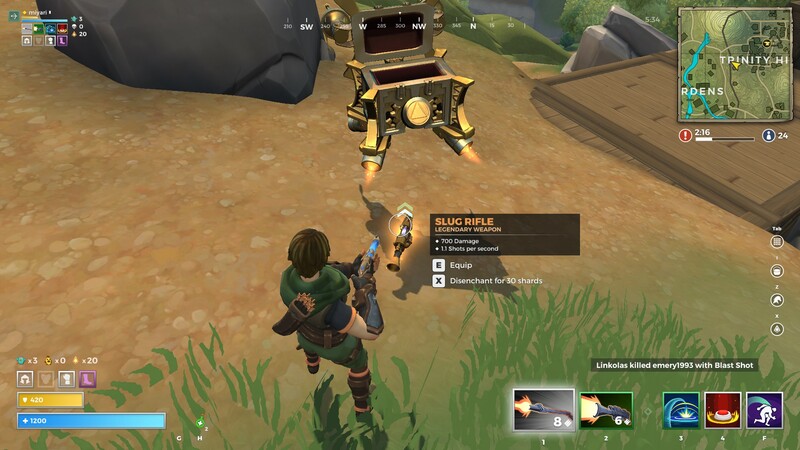 When a Gold Chests spawns, an icon will appear on the map and, if you're close enough, you will be able to see orange beams shooting to the sky, to help you locate the chest. Gold Chests generally contain Legendary versions of basic weapons, but they do have a chance to contain your class-specific weapon! 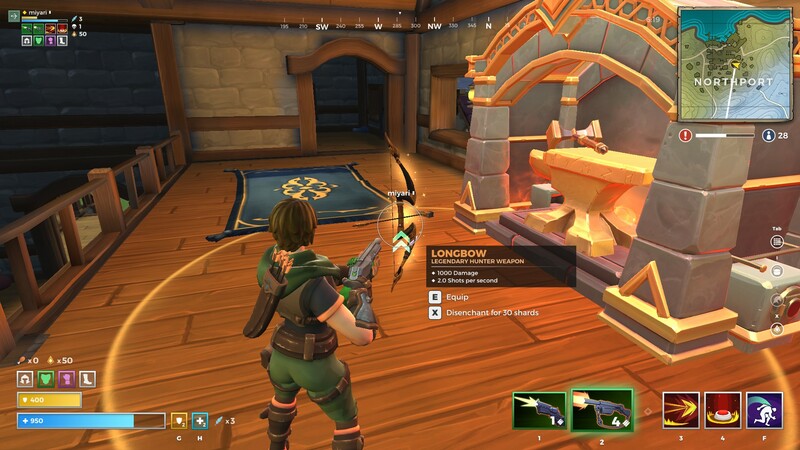 You can learn more about crafting in Realm Royale in our guide to forging. Weapons in Realm Royale do not suffer durability loss and can be fired infinitely without the need to collect ammunition. You will still have to reload, of course, and each weapon features its own ammo count and reload speed. These attributes remain the same for each weapon of a specific type, regardless of rarity. Realm Royale is still in Early Access, so new weapons could be added in future updates. Additionally, weapon stats will likely be constantly adjusted until a good balance is met, so keep in mind that this list may change with future patches. We’ll be updating the guide as often as possible to reflect the current meta on live servers. Here’s our picks for the most powerful weapons in Realm Royale! The class-specific Legendary weapons are undoubtedly the strongest weapons in Realm Royale as they are uniquely powerful and generally deal tons of damage. Because of this, they can all be considered top-tier weapons, but we have included them below in a tier list of their own, ranked from best to worst. The Hunter’s Longbow is the overall top of these, capable of dealing serious damage (900 per hit) and holding two shots before needing to reload. Additionally, it’s easy to use at close-range as well as from afar, giving it the versatility needed to be an overall top-tier weapon. 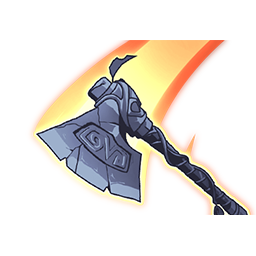 The Warrior’s Throwing Axe is has an excellent rate of fire and doesn’t require reloading (infinite axes!). Provided you can aim it properly, the Throwing Axe is easily one of the best weapons in the game and certainly the best choice for Warriors. It’s only real downside is that it lacks the same efficiency at longer range than it does at close or medium range. You didn’t pick Warrior to be fighting long-range anyway, though, right? The Assassin’s Sniper Rifle comes close to the Longbow in sheer power, but has a slightly higher skill ceiling. The Sniper Rifle can deliver an incredible 2200 damage if you land the right shot (1100 x 2x headshot damage modifier). 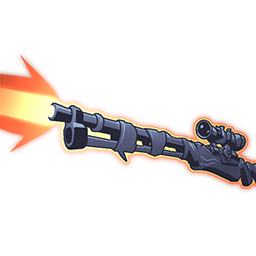 With such strong raw power, the Sniper Rifle, like other class Legendaries, is certainly a the top choice. 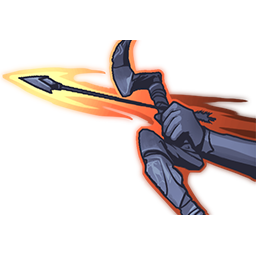 The Mage’s Legendary, Stone Spear, fires three projectiles quite quickly, and if you manage to land the first one you'll likely land all three. 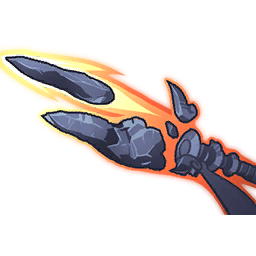 This makes the Stone Spear a powerful force for close-range combat, though it is a bit harder to land those shots at longer range. The burst from this weapon combos well with the Mage's Fireball ability. 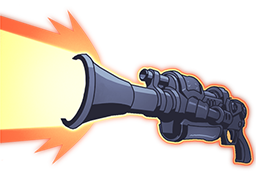 The Engineer’s Plasma Launcher isn’t as powerful as it could or should be, but it’s still a great choice depending on your playstyle. 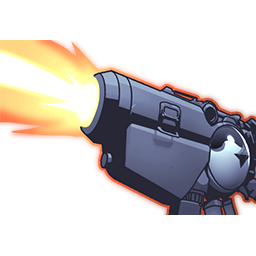 It is capable of inflicting strong damage at close to medium range and also deals splash damage, which a unique feature of the weapon. However, it can also deal self-damage to the Engineer which honestly isn't really all that fun. 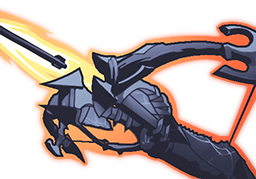 Crossbow: The Crossbow features an incredibly fast rate of fire, which can dish out some good damage—especially when used at close-range. It's quite the versatile weapon, though it's certainly worth noting that it suffers fairly significant damage falloff at longer ranges. The Crossbow will excel at close to mid-range combat in the hands of a talented player, which earns its rank near the top of our list. Slug Rifle: It’s worth starting off by stating that the Slug Rifle isn’t really a rifle, so don't go into it thinking it'll be anything like the Heirloom Rifle. It fires projectiles (slugs!) at close to medium range targets. While its individual shots are powerful, its rate of fire and slow reload hinder the weapon's overall damage output capability. However, if your aim is good, it's still a great choice due to the high individual shot damage and effective range. Assault Rifle: The Assault Rifle features an extremely fast rate of fire with generally decent close to mid-range efficiency. 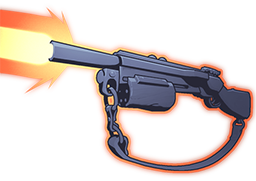 Each shot deals a high amount of damage, but you'll have to land those shots to get much out of this weapon. Due to it being an automatic weapon, this is generally pretty easy to do, especially if you're close to your target. SMG: The SMG is similar to the Assault Rifle in its automatic nature, making it a great weapon for running up to your target and dealing a spread of ridiculously high damage. It has a slow reload speed, but that probably won't be an issue if you've managed to land most of your shots. At which point your target is likely dead. This weapon ranks high as it's early-game potential is arguably top tier. Shotgun: The Shotgun is a fairly well-balanced weapon that, as expected, will be your go-to when fighting at close range. However, it's damage and accuracy falls off substantially as the distance between you and your target increases, leaving the Shotgun relegated to close-range combat only and limiting its overall versatility. The Shotgun can still be very brutal on classes with gap closing abilities, including the Assassin and Warrior. Heirloom Rifle: The Heirloom Rifle offers good damage with a solid effective firing range. It holds a total of six shots, which make it great for use in hectic fights offering minimal downtime for reloading. It's a generally decent weapon and excels at close to medium range combat without the high damage falloff of the Revolver. 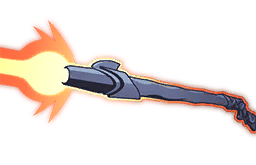 It is a projectile weapon, so it does require a bit more skill to effectively land shots. Burst Rifle: The Burst Rifle is a well-performing close to mid-range weapon. It fires three bullets per shot at such a rapid rate of fire that you're likely to land all three. The damage from each shot is pretty substantial and it suffers no damage fall-off. The Burst Rifle is definitely a great choice if fully automatic weapons are your thing. Revolver: The Revolver is a decent all-purpose pistol with a great rate of fire. It can hold six shots, but has a painfully-slow reload speed. It still makes for a great secondary weapon choice, provided your aim is good. 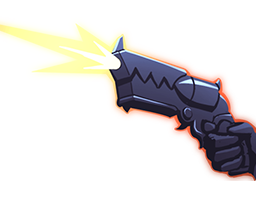 It's also worth noting that the Revolver is one of the few hitscan weapons left in the game at this point (meaning you will hit exactly where you fire, with no projectile delay), which can make it significantly easier to use. Sword: Admittedly, the sword is only as good as the person wielding it. It’s the only melee weapon in the game (aside from the knife), which is notable enough to include it highly on this list. It’s certainly not for everyone, but it would be silly to ignore the Sword’s raw damage output when including it on this list. 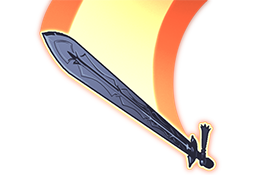 A Legendary quality Sword can deal 800 damage per hit, and its relatively fast swing speed make it a viable choice for those who prefer close-range combat.